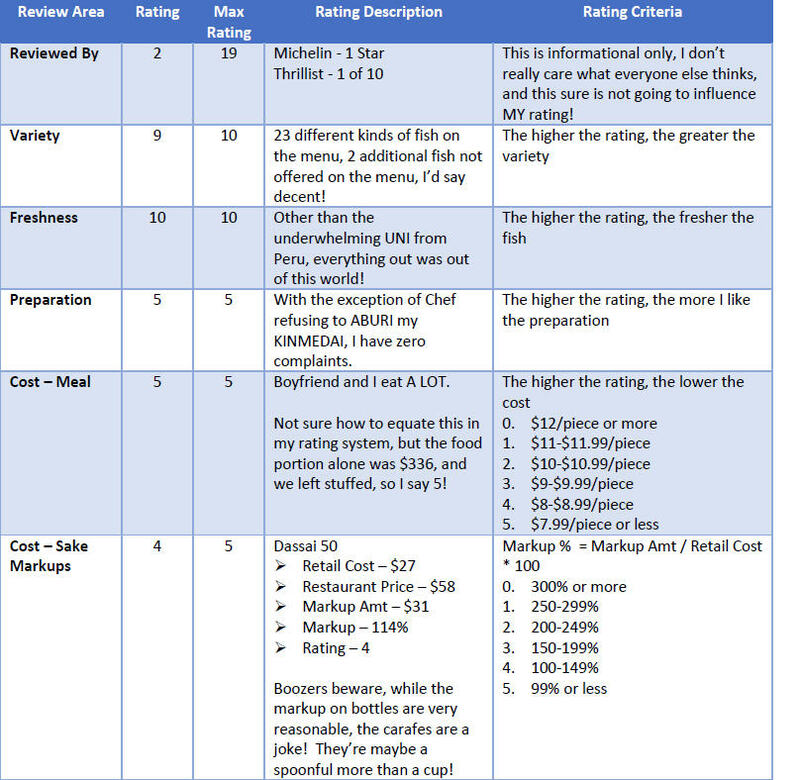 Do you have a restaurant that you constantly think about, but for whatever reason, just don’t go for a meal? That’s Kyo Ya for us. We LOVE them, we love everything about them. 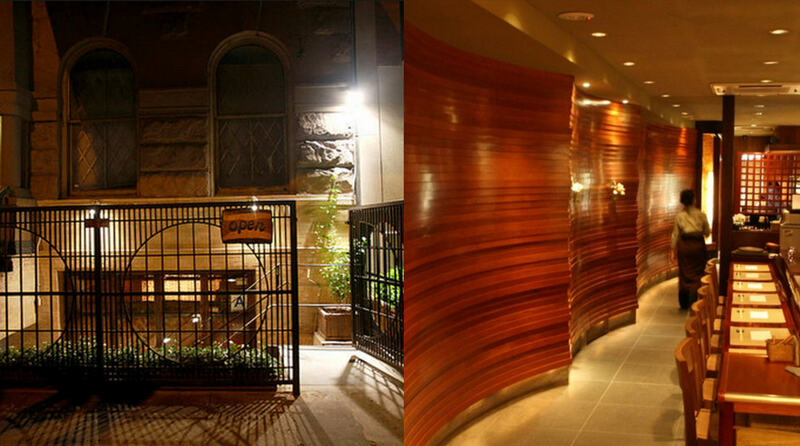 They have wonderfully fresh oysters, sashimi, amazing DONs (bowls), and spectacular service. The only thing not so loveable? The availability of seats. 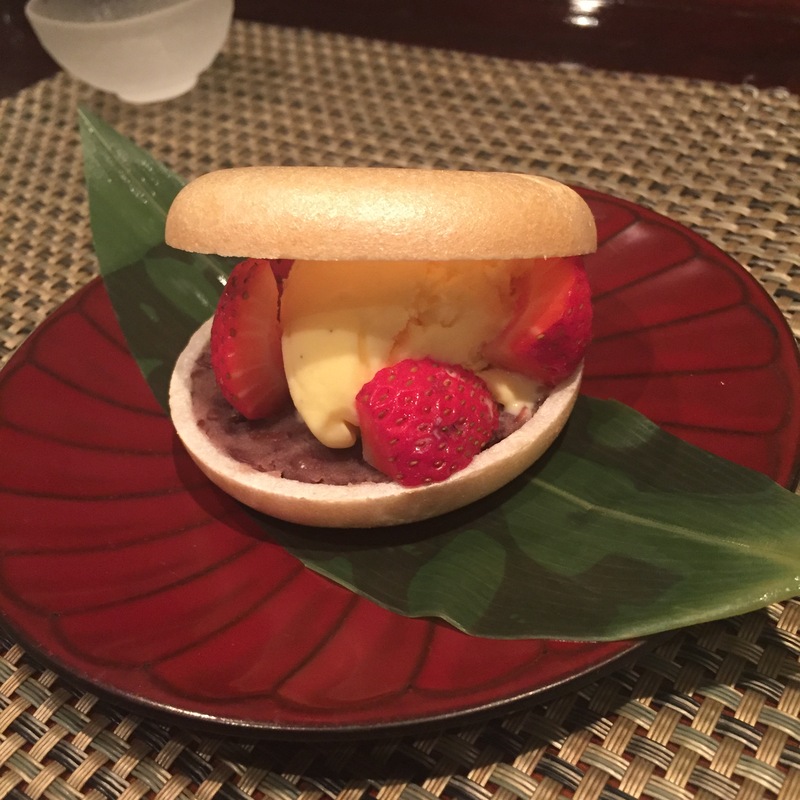 When there’s so many restaurants around, it’s so hard not to go the easy route, the route that allows you to book just a few hours or days in advance. Washington State Oysters – Kyo Ya dresses their oysters with shaved daikon, Japanese spring onion, and a side of ponzu sauce. Delicious! OTORO (Super Fatty Tuna) – A little bit veiny (chewy), but there was zero funky aftertaste. Very good. 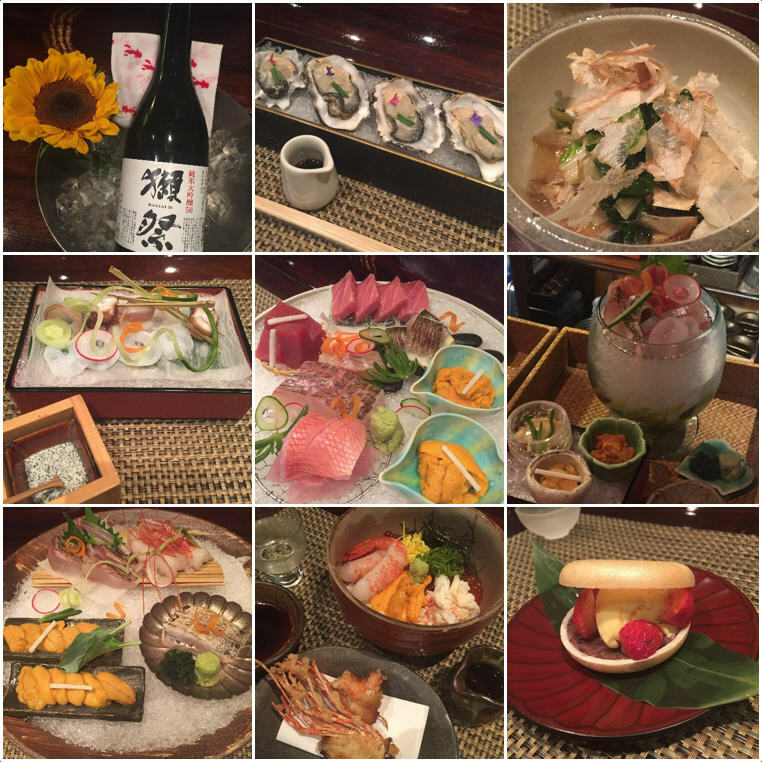 AKAMI (Blue Fin lean tuna) – Delicious! I am one of those people that OFTEN prefer a good cut of AKAMI over Toro. This is one of those times. Yes, such people do exist. So good! 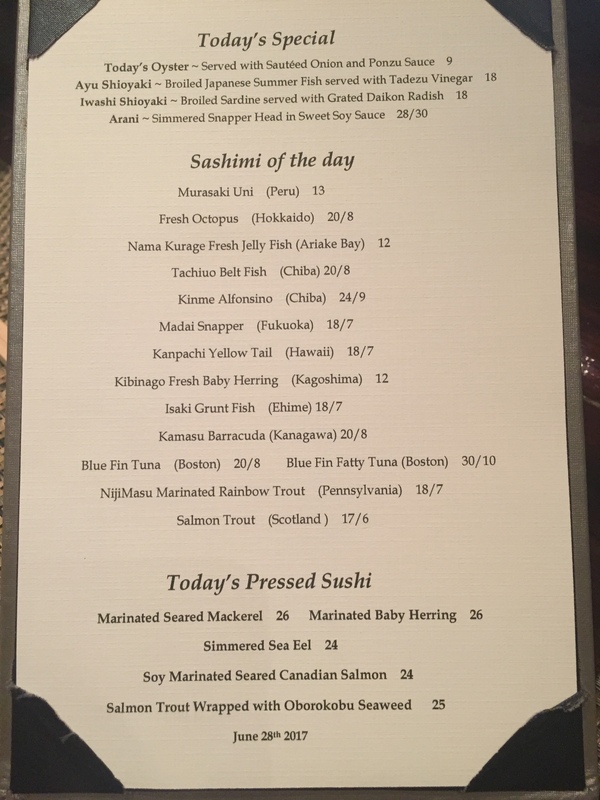 Salmon Trout from Scotland – I’m not a huge fan of the salmons, so we didn’t do a full sashimi order, only a single order. 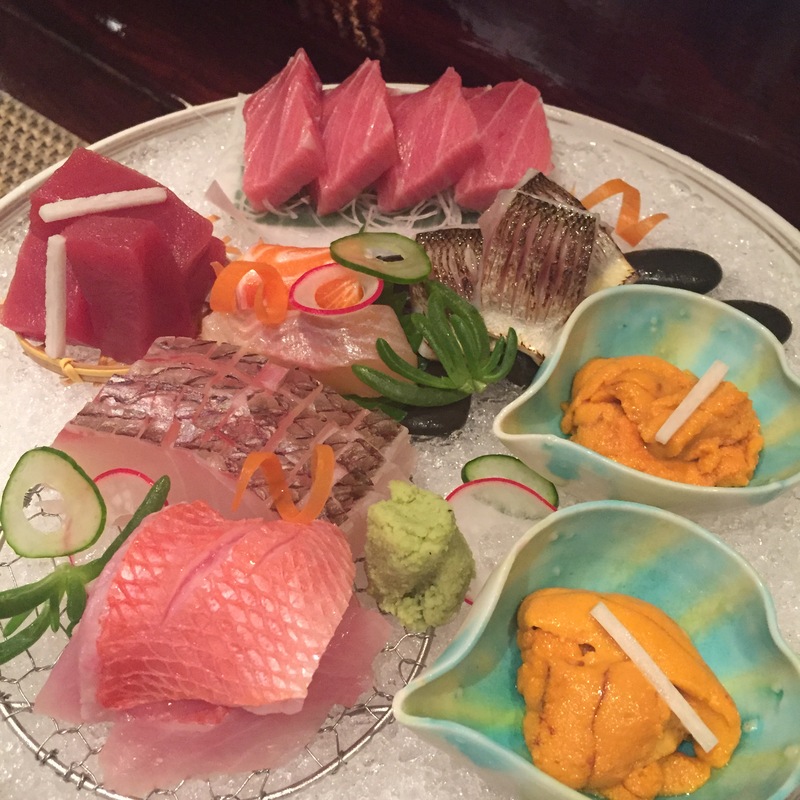 By the way, a full sashimi order consist of 4-5 pieces, and a single order is just one piece. I took a small sliver of boyfriend’s piece for a taste, it was very good! Incredibly fatty! 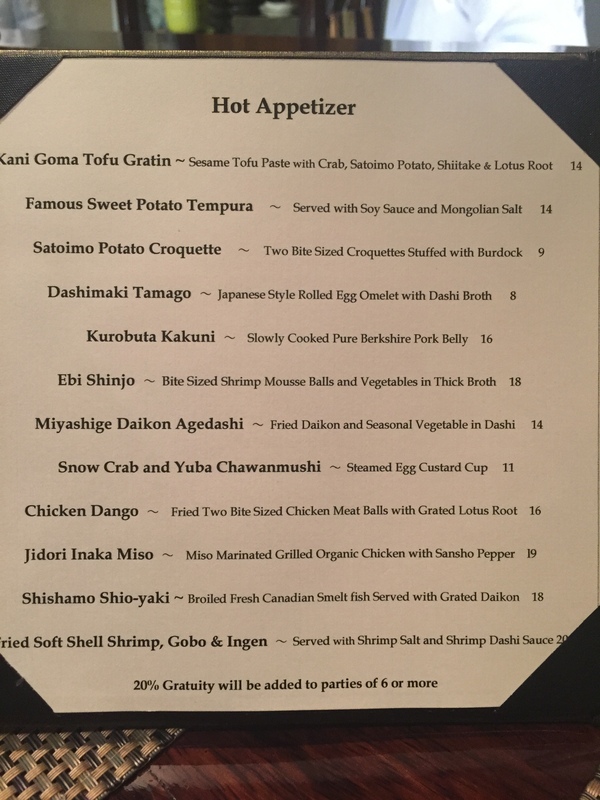 NijiMasu marinated Rainbow Trout – I didn’t try this one, but boyfriend said this was great. 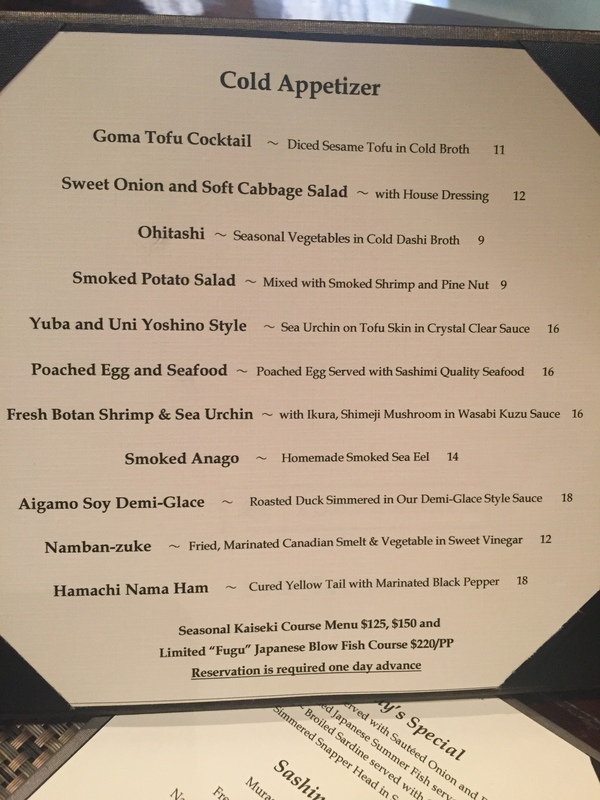 KAMASU (Barracuda) – My favorite serving of the night! KAMASUs are really great, but this serving was impeccable. The slight ABURI-ing (torching) of the skin yielded such delicious melty oils into this delicate fish. So happy! Murasaki Uni from Peru – This was the most underwhelming serving of the night. I’m not saying it was bad, it was ok, but just ok. And when compared to all the other stellar servings, this one is slightly lacking. 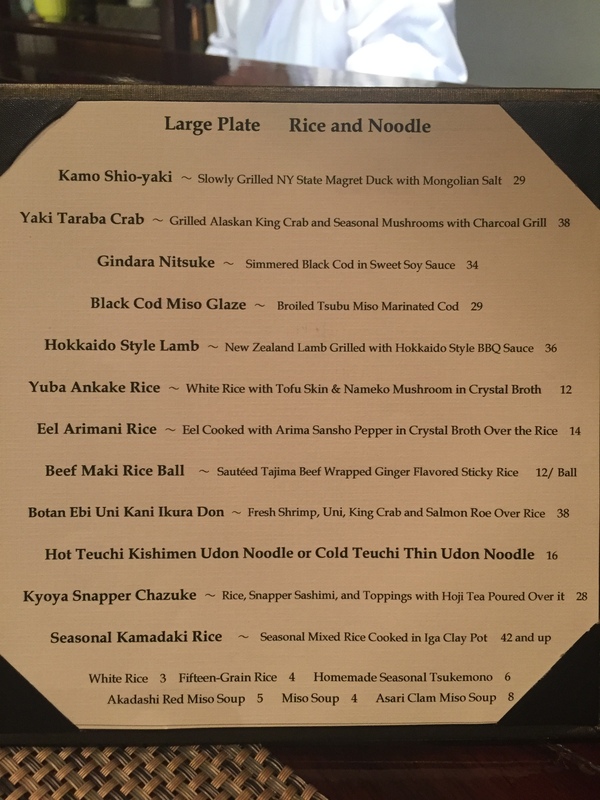 MADAI (Seabream) – Yum, yum, yum, yum, yummmmm! KINME ALFONSINO (Golden eyed snapper) – Chef always have super fresh, super delicious KINMEDAI. My one complaint is that he does not like to ABURI his KINMEDAIs. 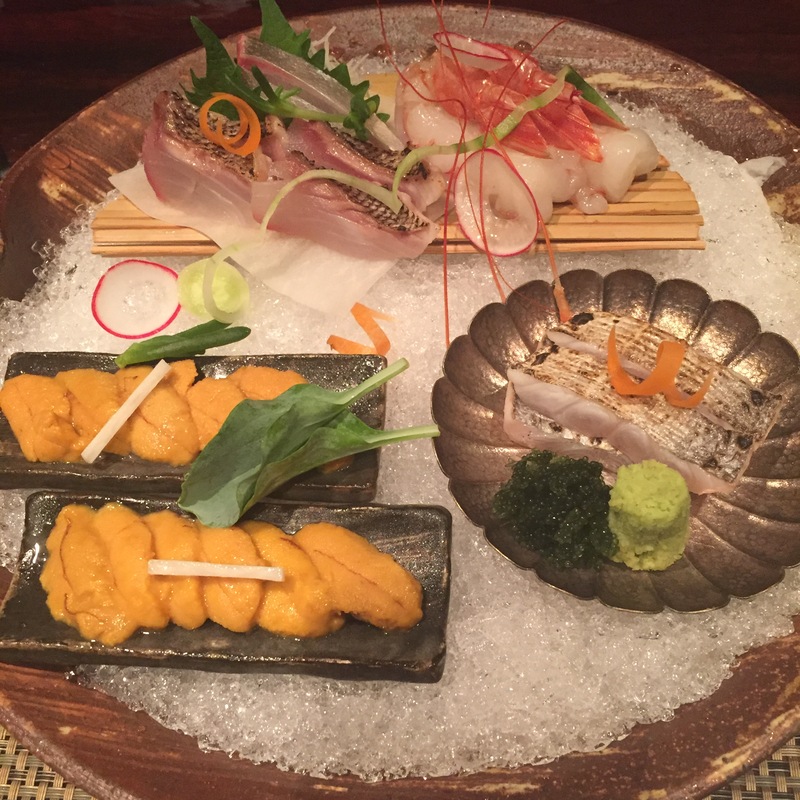 Sashimi Plate 2 – NAMADAKO (fresh octopus) – Insane!!! I love chef’s seasoned sea salt with this beautiful fish! 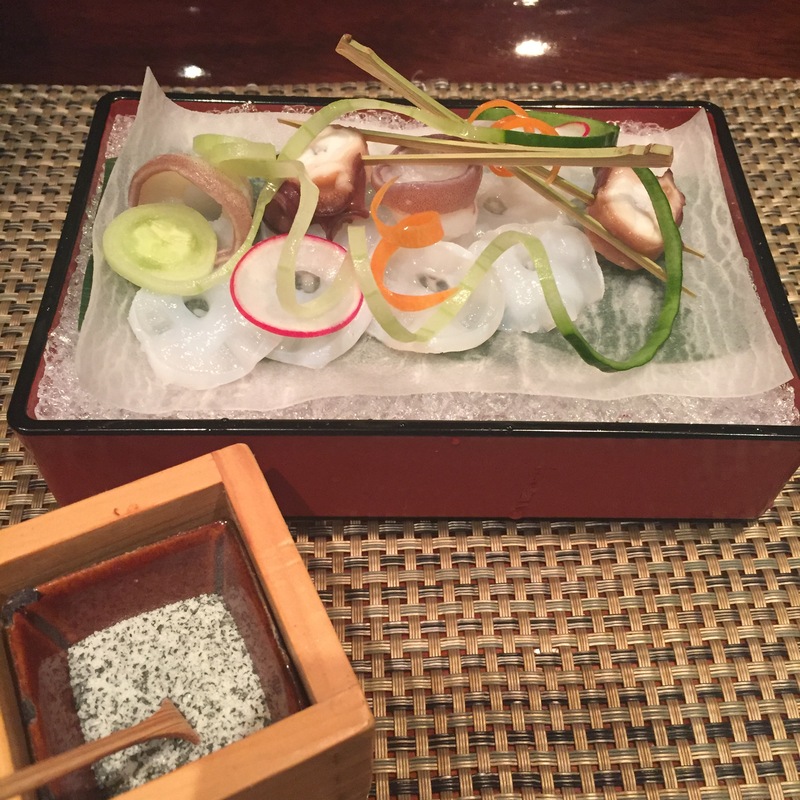 ISAKI (Grunt fish) – Usually not a huge fan of ISAKIs, but chef ABURIed the skin, which is rarely done, and it was like a whole new introduction! YUMMY! SHIMA AJI (Jack Mackerel) – You have to look really hard to find the SHIMA AJI on this photo, it’s hidden right behind the ISAKI. That small sliver of silver you see behind the SHISO, that’s the SHIMA AJI. Another beautiful piece. 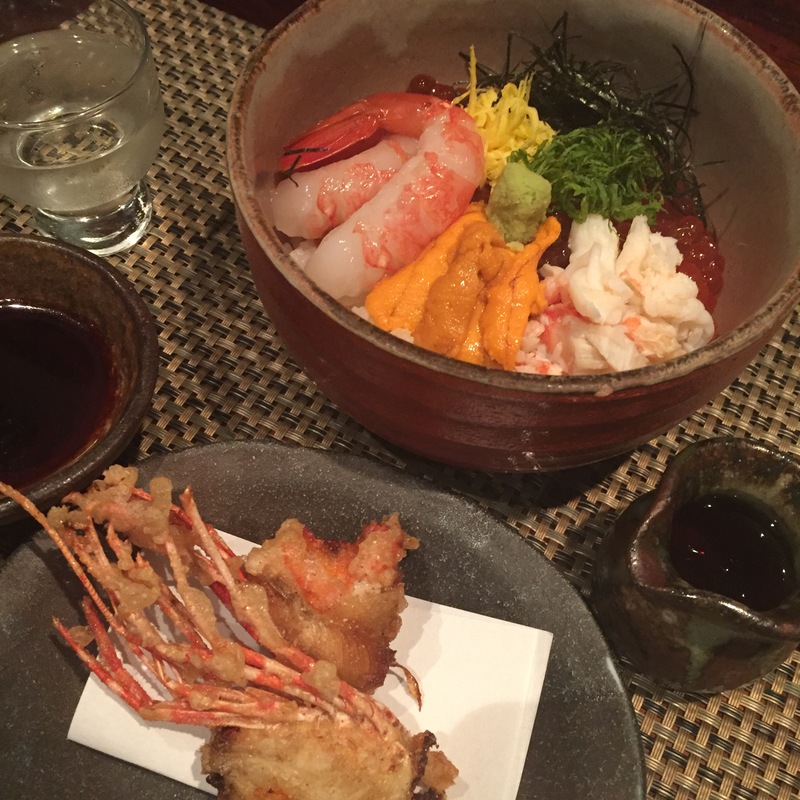 AKA EBI (Large red shrimp) – This was chef’s suggestion, not on the menu, and oh so good. AKA EBIs are the big brother to the BOTAN EBI. 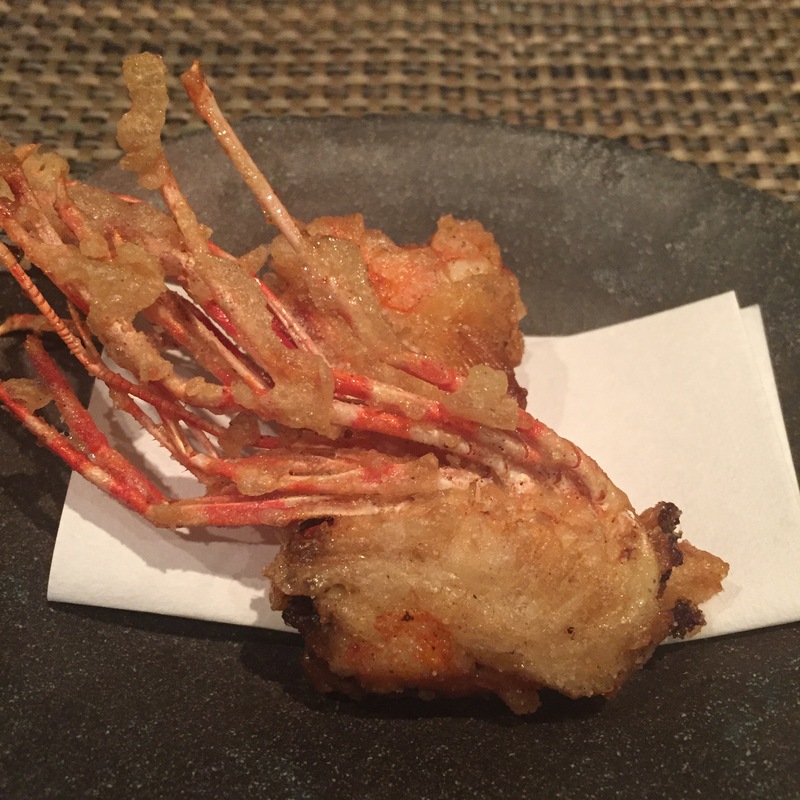 It more expensive than the BOTAN EBI, and very few sushi-yas offer it. I love these “finds”! Hokkaido UNI – Another item not on the menu. This has been such a bad year for UNI, the only ones that are truly good, are from Hokkaido. 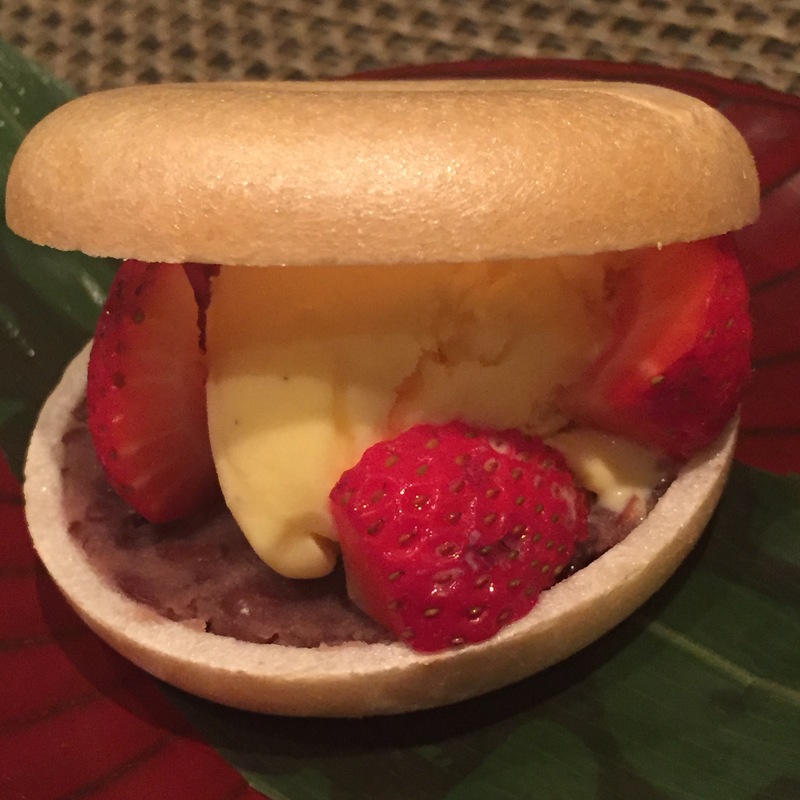 Why waste your time with Peru when you can have Hokkaido? TACHIUO (Belt fish) – SCRUMPTIOUS! 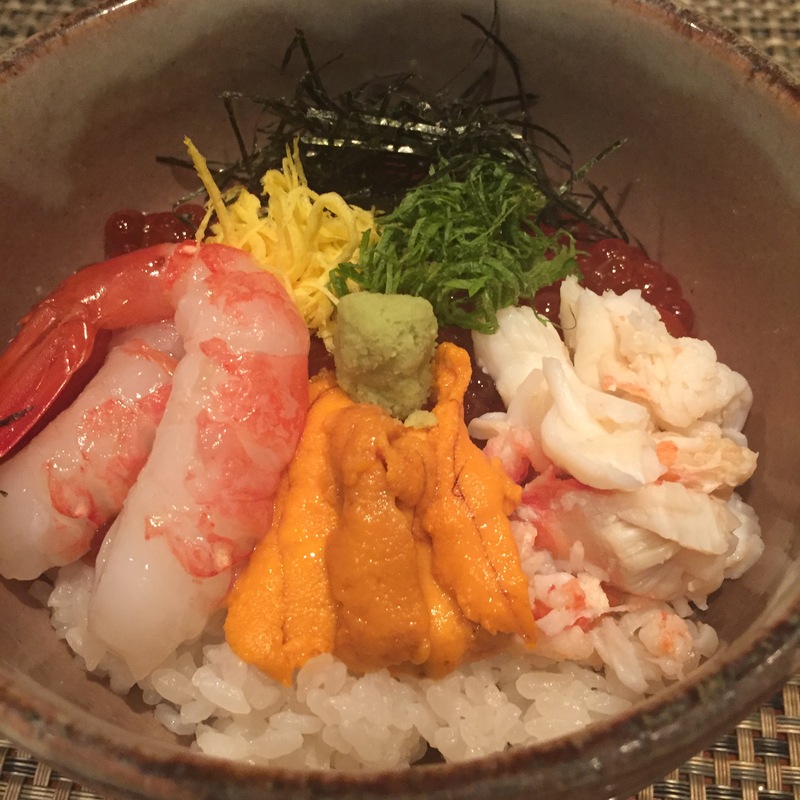 BOTAN EBI (Spotted sweet shrimp), UNI from Peru, KANI (snow crab), IKURA (Salmon eggs) don – My favorite DON (bowl) ever! Served it a special DAISHI Soy, and a side of the fried heads. If you’re on a limited budget, this is easily the best forty bucks you can spend! So great! 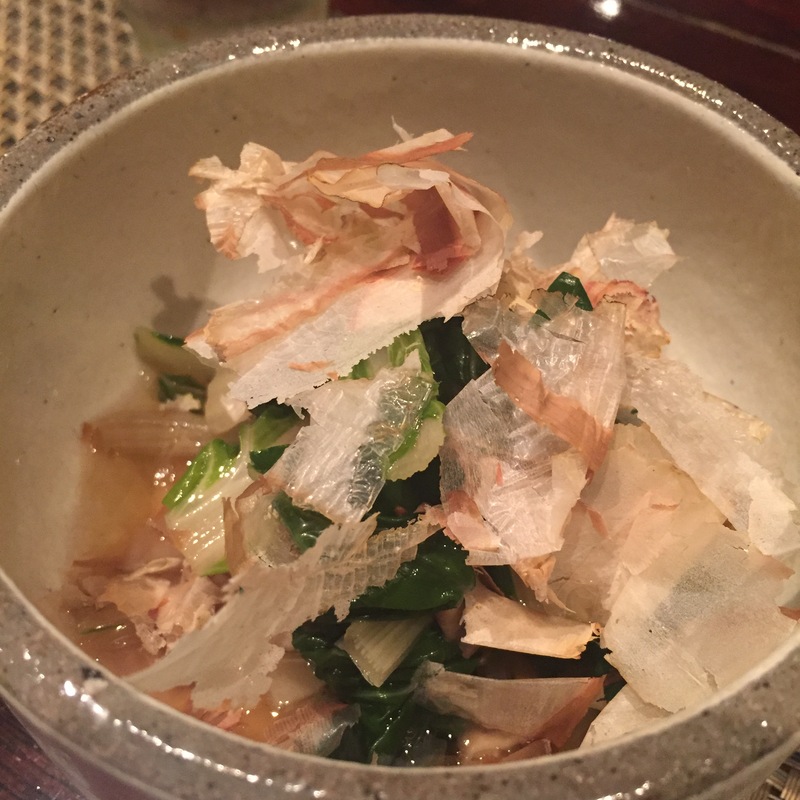 Ohitashi (seasonal vegetables in a cold dashi broth) – Needed a veggie fix, and this did it! Very yummy! What a fantastic meal! We always leave SO HAPPY, SO SATISFIED, so irritated with ourselves for waiting so long in between visits.